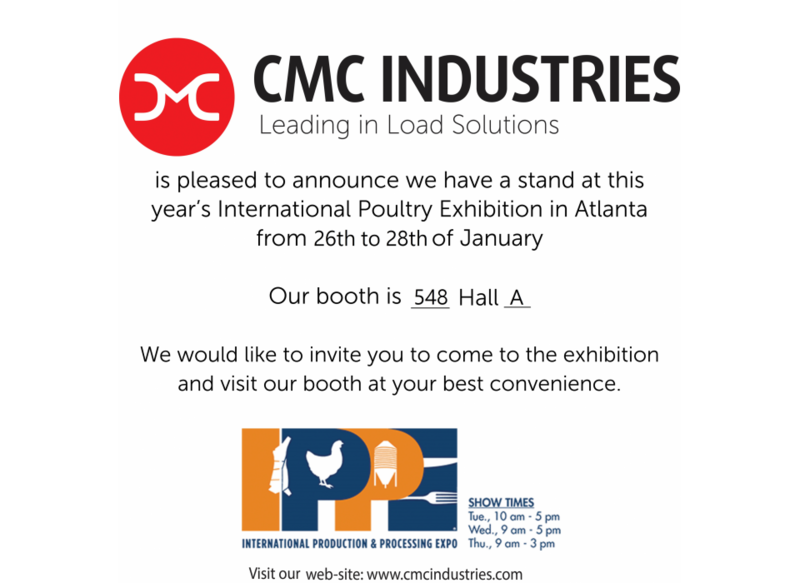 CMC Industries is pleased to announce its participation at this year’s International Poultry Exhibition in Atlanta (USA), from January the 31st to February the 2nd. Considered as the largest annual trade show in the poultry sector, it focuses on Innovation, bringing together buyers and sellers of the most innovative technologies. We would like to invite you to come to the exhibition and visit our booth (Hall B – 6528) at your best convenience. CMC’s Team will be pleased to answer all your queries, providing you a comprehensive overview of its innovative machinery for poultry farms management. Do not miss the chance and visit us!